When it comes to seasonal allergies, most people immediately think of the pollen explosion in the springtime. But an itchy throat, teary and red eyes, sniffles, and sneezing aren’t relegated to April and May alone. When the leaves start to fall and the air cools, a host of allergens can cause the same set of symptoms. 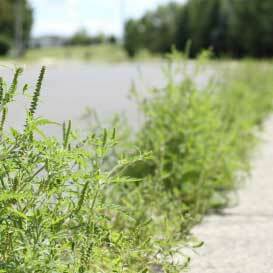 A single ragweed plant can produce up to 1 billion grains of pollen per season. This yellow flowering weed blooms in August but causes allergic symptoms well into the fall, until the first freeze kills the plant. It grows nationwide but is most prevalent in rural areas of the East and Midwest. Approximately 75 percent of people who suffer springtime allergies will also be affected by ragweed pollen, according to the Asthma and Allergy Foundation of America. Monitor your local pollen count. Most local newspapers and TV news websites publish a daily report. Stay indoors as much as possible, especially during peak hours (usually mid-morning to early afternoon). If you have to go outside, wear a painter’s mask to filter pollen. Keep home and car windows completely closed. Take off your shoes and jacket before entering your home. You don’t want to track in any pollen that you’ve picked up outside. Vacuum carpets and upholstery regularly. Wash your clothes, linens, and curtains regularly. Don’t line dry your laundry outdoors. Bathe your pets — especially outdoor dogs and cats — frequently. These fungi thrive both outdoors and indoors. They grow from and produce spores that, like pollen, are spread by the wind or indoor air. 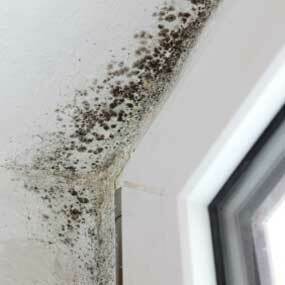 Mold and mildew tend to grow year-round. In the fall, they grow on damp fallen leaves and compost piles. They thrive in damp areas indoors like basements, bathrooms, and kitchens. Unlike pollen, mold and mildew aren’t killed by the first frost, but they do tend to go into a dormant phase during the winter months. Rake your yard of fallen leaves and remove leaves from gutters. Don’t leave piles of leaves in your yard. Keep compost and yard-waste piles far away from the house, and wear a protective mask when raking leaves and cleaning compost bins. Be sure to empty bins regularly. Use a dehumidifier in the house, especially in the basement. Air should be between 35 and 50 percent humidity. Clean bathrooms and the kitchen regularly using vinegar or store-bought anti-mildew agents to avoid mildew and mold buildup. 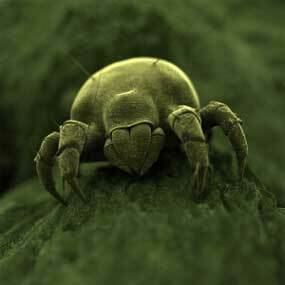 Dust mites are microscopic arthropods that feed primarily on flakes of human skin that are shed naturally around the home. They’re a common year-round allergen that thrives in temperatures ranging from the high 60s to mid 70s. Dust mites usually die in extreme temperatures or if the humidity drops below 70 percent. It’s next to impossible to completely rid your home of dust mites. But you can take steps to keep them at a manageable level. Clean air vents throughout the house before turning the central heating unit on for the first time after summer. Cover your mattress and pillows in dust-proof covers (dust mites love the bedroom). Regularly wash all bedding in hot water (130°F or higher). Use a dehumidifier to keep the air below 50 percent humidity. Dust and vacuum your home regularly, and be sure to wear a filtering mask while cleaning. Consider installing hardwood floors instead of wall-to-wall carpet. Pet dander is comprised of dead skin that is shed by animals in the home. Up to 40 percent of people with seasonal allergies also have pet allergies. Pet allergies are triggered by an extra-sensitive immune system reacting to dander, fur, saliva, or urine from pets. Some dog breeds cause more reactions than others. Saint Bernards and bulldogs are among the worst offenders. 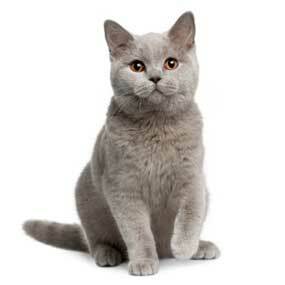 Cats are twice as likely as dogs to cause allergic reactions in people. Avoid contact with furry pets, especially cats and dogs, if you have known allergies. If you’re set on having a family pet, consider breeds that are hypoallergenic, such as Havanese and Schnauzers. Wash and groom pets regularly. Wearing a filtering mask can help keep your allergies in check. Consider only allowing pets in specific areas of the home and keep them off furniture. Keep litter boxes and pet bedding away from air vents, and use an air purifier to help clean the air of pet allergens. For many people, fall allergies can be controlled with over-the-counter or prescription allergy medications that contain antihistamine. They usually come in the form of pills, lozenges, eye drops, or nasal sprays. Neti pots with a saline rinse can be used to treat symptoms of allergies. Immunotherapy (allergy shots) can be an effective option if you have severe allergies that don’t respond to over-the-counter options. The shots work by gradually exposing the immune system to a certain allergen so it can build up a tolerance. Preparing yourself against allergies doesn’t mean standing guard at the window in fear of pollen and other allergens. Taking the precautions mentioned above can help make your allergies more manageable throughout the year.